Request information on future availability. 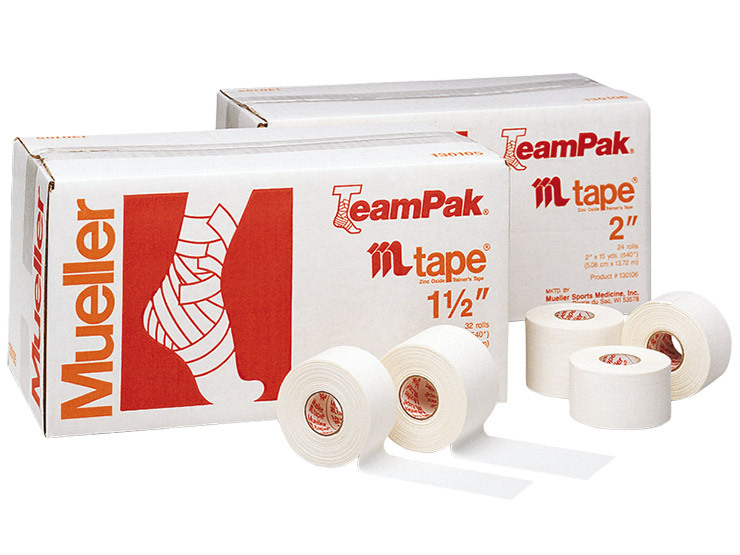 Mueller M Tape white Z/O strapping, 100% cotton backcloth. Features high tensile strength with excellent tackiness and conformability. Easy handling, easy unwind to the core. Competitive price for an effective day to day strapping. Try our Tiger Tape Z/O. Serrated edge and easy tear, both width and length-ways. Latex free hypo-allergenic adhesive. Cotton/viscose fabric, make it an effective and supportive tape on any joint space. Excellent value 13.7m length rolls.